very nice blog and simple blog. Do you really think that career in SEO is good? why? Compare to career in SEO & in JAVA which one is good. :) Nice Question Prashant Bhosale. Please give your mail id so that i will PM the answer for your question. I don't like to publish our conversation in my blog :). But i appreciate your question. Sir, Please provide same information to me. @Sagar Can please ask your questions through mail. My mail id is sathiyakumarseo@gmail.com. Thanks for your comment..
very nice , tomorrow I have to go for the interview and i got a great knowledge about seo from here. thanks for sharing. keep on sharing like this. Is SEO useful in the career or not ? Tell me how it is useful. currently i am not the employee of any company. How it may useful. Malampati Sudheer.. My another email id is sathiyakumarseoanayst@gmail.com and sathiya12790@gmail.com. you can contact me through any of these mail ids..
Hi, Thanks for sharing basic Information about SEO, it helps for beginners. I have some more question about SEO can we discuss ? If yes then please give me your gmail Id. Yeah! we can discuss about SEO. My email id is sathiyakumarseo@gmail.com and sathiya12790@gmail.com. Hi. Sathiya, I am Fresher in this Filed I am Very Happy After Reading this Blog on "Basic Seo Interview Questions and Answers for freshers"
can you help me knowledge of all seo basic things when any person learing the seo firstly and scope of seo, and success in seo what are the methods? Compare to career in SEO & in DotNet which one is good.? Your explanation clear my confusion. i have learn so many thing from this Blog and it help's me in Interview. Hello, Thank you for telling everything about SEO in very Simple Language. How to create a link wheel please tell me..
Link wheel is a technique that is used in Internet marketing as well as SEO to increase visits to a website and back link count. It is a chain of link that circulates through several websites. The main target is to complete the circle at a specific website. what is the purpose of keyword in SEO..? Keywords are the most important terms in SEO. If you need to do seo for a website you need main targeting keywords to optimize, you need keywords to put it in Meta title and description, you need keywords to write content in your website and keywords are need for both On- page and Off-page optimization techniques. A very useful content for beginners like me thanks! I want to know about ppc.how to do it.Plz rvrt me back.It is very informative blog.i got more knowledge by this.thanks for sharing. its a very important information for me but i want some deep knowledge in all points with example. Best site on seo like question and more information seo.Thanks are post good article in internet marketing. @Anil Kumar Welcome to my blog and thanks for your comment. i am niranjan. a senior web developer at a software development company. we are in the process of hiring SEO professionals. we will need them full time. can you help us create a question paper that would suit a 2-3+ years candidate. I have 1 doubt wht is diff B/W SEO Analyst & SEO Executive ?? which one is better position ? Well you asked a good question that no one asked it before. I have worked as both SEO Analyst as well as SEO executive so I think I can answer your question. Executive is a person who has the power to put plans or actions in to effect while Analyst is a person who do analyze. If SEO Analyst analyzed a website and planned some working procedure for a website that SEO executive should do that plans into effect. So I think both works are important and being an Analyst is always BETTER than Executive and Analyst is a superior position than Executive. But most of the companies are asking both Analyst and Executive to do all the works. Thanks for your comment Ranjith. Can you please ask your questions to my mail id sathiyakumarseo@gmail.com so that i can help you out here by answering clearly? On Page tec. and off page tech ..
thanks nice information for seo bigginers .Can you send me an example of on page optimization . Thanks anjit for your comment.. Send me your queries to my mail id sathiyakumarseo@gmail.com and I'll reply you ASAP..
Hi sathiya kumar this jan i joined one organization as a SEO analyst, and i don't know even whether this SEO field is good or bad. So please suggest me i have attach my email id with this mail "arjun2012.ece@gmail.com". Please send me your valuable comment and i'm waiting for your reply. Arjun I'll contact you through your mail id ASAP. Thanks for visiting my blog. Hi, Sathiya Can you send me an example of PPC ? and About PPC. Thanks Sudeep for your comment. I will send you a mail soon about PPC with example. It's very nice & really very useful. The important aspects of SEO have been explained in a very effective manner. Amazing blog share by you that is very informative. this is great interview question but i have question can i choose for seo as career is it good or not.? because i am BE engineering student. Mail me Latest Updates on Digital Marketing... i m looking forward to gain more knowledge from you Sathiya Sir..
Just mail your queries to my mail id sathiyakumarseo@gmail.com. when I get time I will reply ASAP. Thanks for your visit. Yes you can contact me @ sathiyakumarseo@gmail.com or you can call me at 994409953. I will reply you or response when I'm free. Thanks for your comment. hello sir can we get onsite oppurtunity in seo. @Jyothi, Onsite opportunity is based on the type of organization you are working. In SEO onsite opportunity is very rare since it entirely website and Internet based work which we can work from our offsite itself. But if you get job in abroad you can move to onsite. 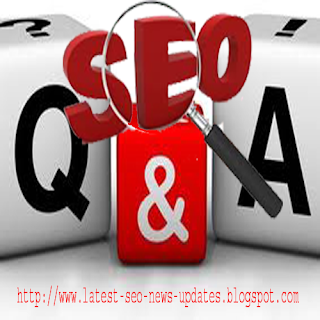 These r the basic seo question & answer update some new & advanced Mr Sathiya.